From the creators of hip gastropubs like Draft, The Distillery, and Black Olive Cerveseria comes Off the Grid -- a casual, food-truck-themed restaurant in the heart of McKinley Hill. 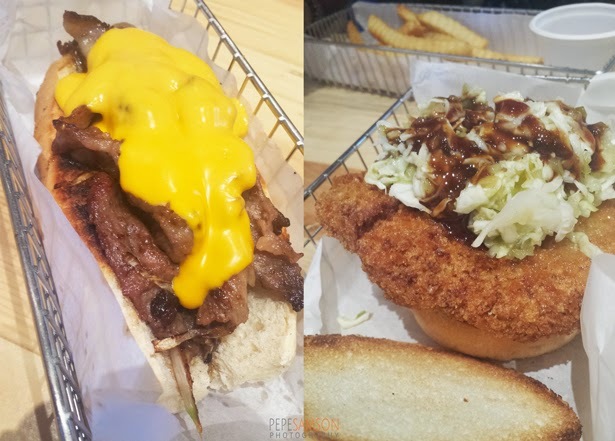 Unlike the abovementioned bars, Off the Grid aims to offer something different: yummy, street-style eats that are substantial to the stomach but easy on the pocket. 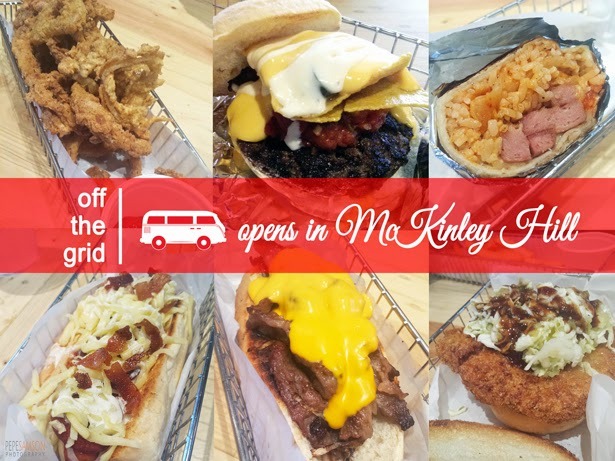 Off the Grid (OTG) has actually been around for quite a while but it only celebrated its grand opening last Monday, August 4. 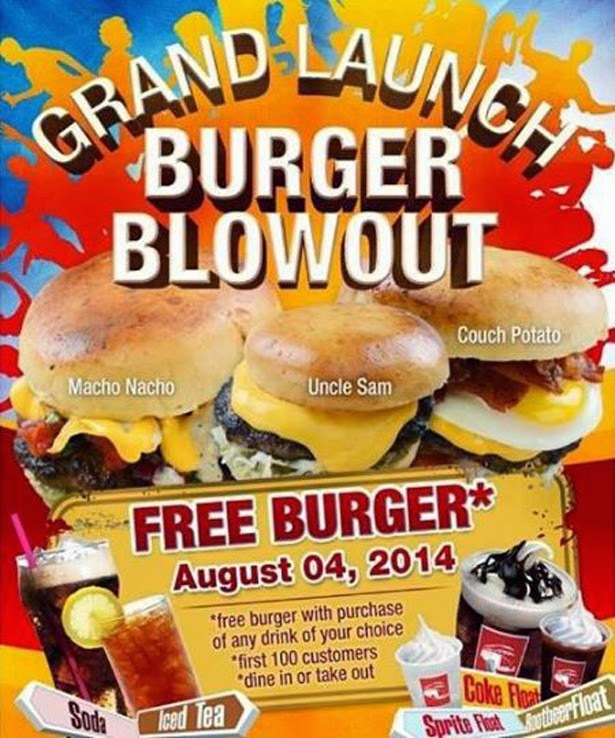 During the event, they offered free burgers for the first 100 guests who visited the restaurant and bought any beverage. I was surprised to find out that there were still burgers left when I dropped by the place at 4:00pm and I was the 81st customer—perhaps the event wasn’t promoted enough through their social media. Which was too bad for others, since I had an awesome time spending only PhP45 for a large Coke and getting myself a Couch Potato burger for free. Yay! 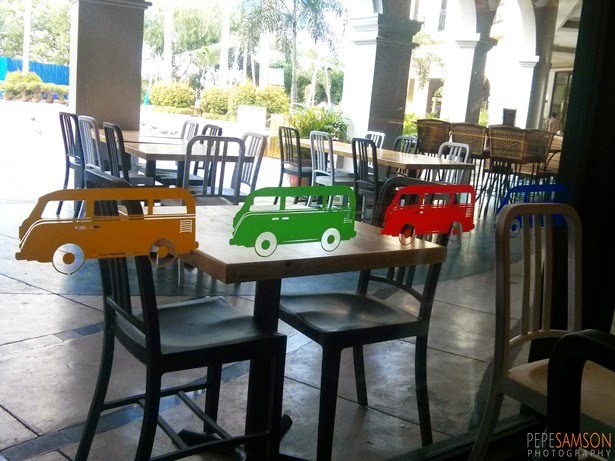 I don’t see how anyone wouldn’t be charmed by its casual yet stylish interiors: on the far end, a food truck mockup (named Gus the Bus) functions as the kitchen; fronting the truck, red and black chairs are scattered about. On the left side is the order area, where you need to pay for your food first before it gets cooked. 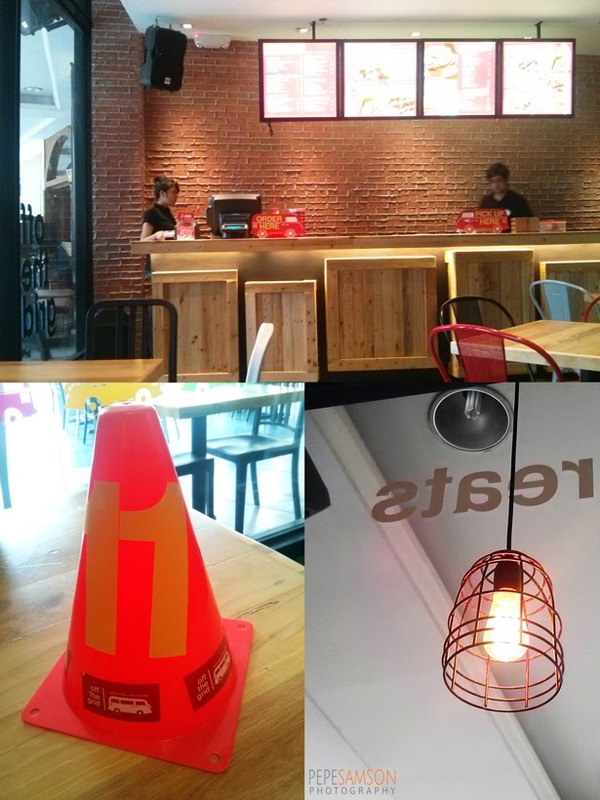 While waiting, you are given a cute highway cone that contains your number. 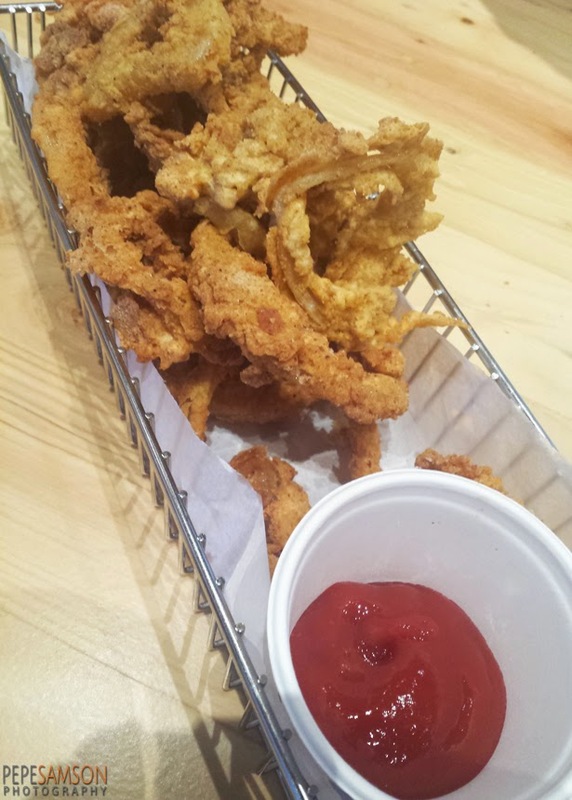 This rendition of the onion rings may look emaciated compared to the ones you are accustomed to, but that’s only because Off the Grid prefers scrimping on the batter and being generous with the onions. Strips of crispy, peppery chicken, a sweet-and-savory dipping sauce, and a bowl of steamed white rice comprise this filling, satisfying dish. 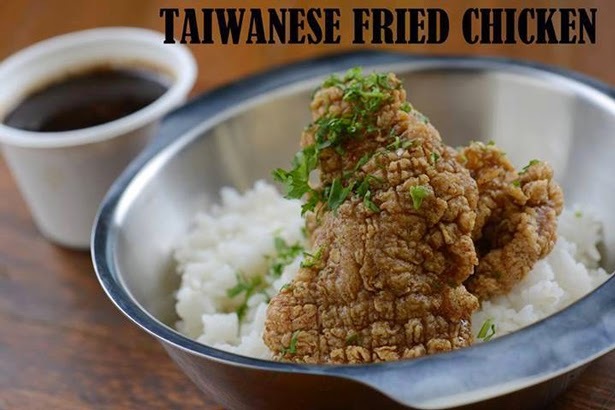 For lovers of fried chicken, this is definitely a must-order from OTG’s menu. Who can resist this food truck staple? 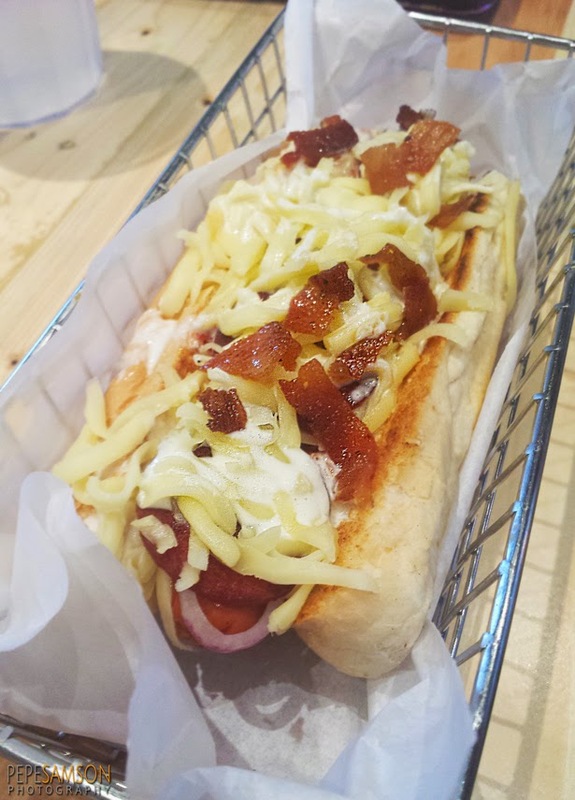 A foot-long hotdog nestled in between a ridiculously soft bun—a bit too soft sometimes—then laden with mozzarella, pepperoni, onions, and bacon bits. 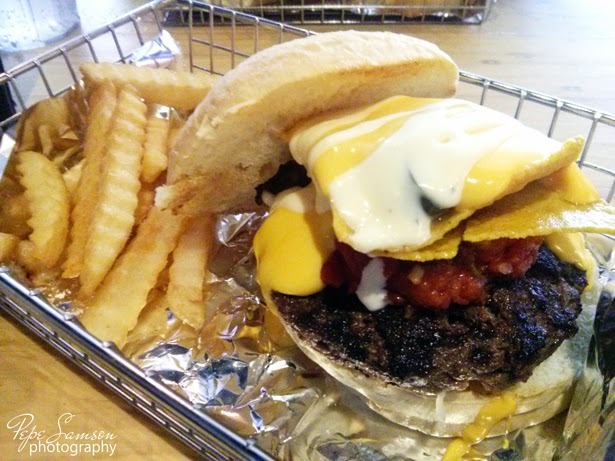 Nachos on a burger? Hell yeah! 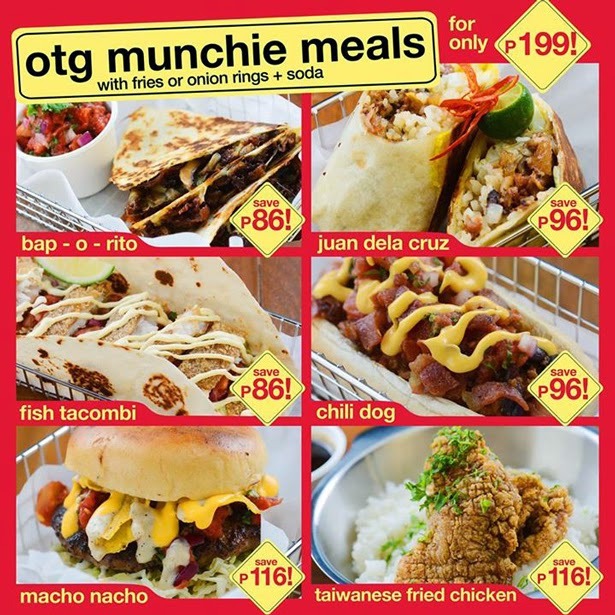 OTG’s burger invention is a surprisingly good combination of two different comfort food, an interesting mixture of flavors and textures. Crunchy chips sit atop a juicy patty, and then fired up by cheddar, mayonnaise, jalapeno, and a tangy salsa to cut through all the creaminess. It's one of the best things I ate recently. 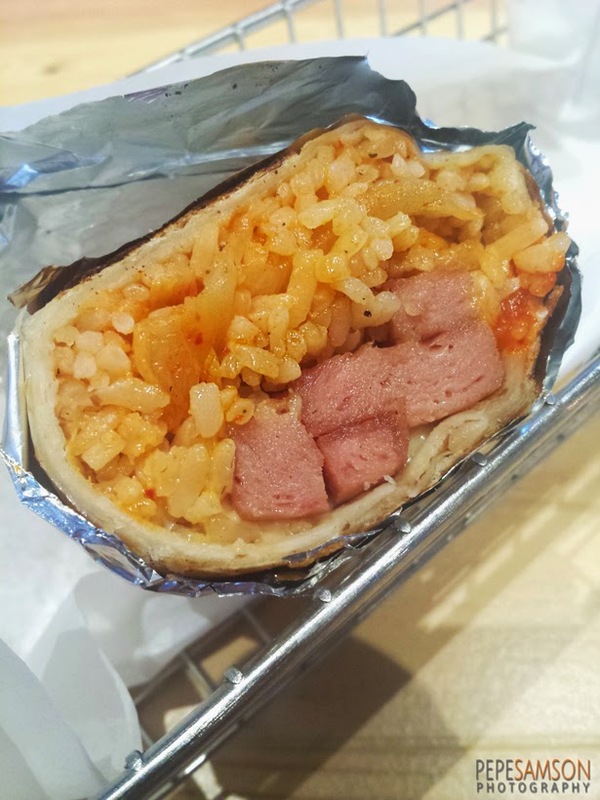 By far my favorite dish from OTG, this is a genius recreation of the burrito: Kimchi rice that’s sweet, tangy, and a little spicy mixed with slices of salty SPAM. The result is a delightful, irresistible marriage of flavors. these choices didn't make it to our Top 5. I find Off the Grid’s dishes a little underrated; they deserve more attention from passing diners. With an intriguingly playful menu and a refreshingly new approach, Off the Grid is definitely not the type of restaurant to ignore. Indeed, Off the Grid is a nice little spot offering fabulous food while maintaining value-for-money. A welcome addition to the McKinley Hill dining scene. What are your food truck favorites? 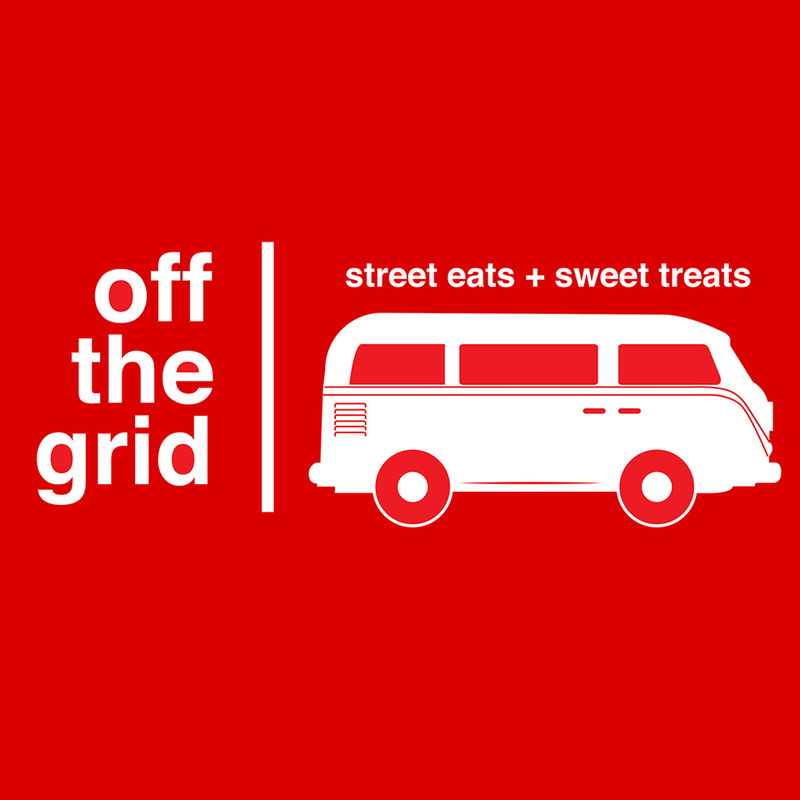 UPDATE: As of 01 October 2014, Off the Grid has closed and will soon reopen as Brew Haus, still under the Draft group of restaurants. Like Pepe Samson on Facebook!